I’ve been blogging on the topic of creativity all through the week and it seems appropriate to round it off with some inspirational quotes. Boredom is a lack of crazy. Its a lack of creativity. Invention. Innovation. If you’re bored, blame yourself. 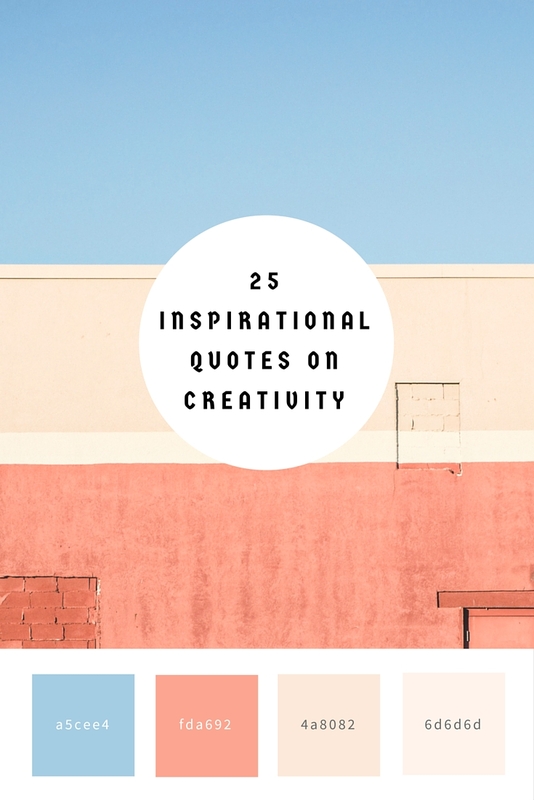 Do you have a favourite creativity quote? Great list of quotes, I particularly love the one that says the greatest enemy to creativity is self doubt. Having self-confidence should be a requirement to let the creative juices flow. Great quotes! I’m of the mindset that with creativity you either use it or lose it. I aim to do something creative each day just to keep in touch with that side of my brain. I agree, Rabia. So important to keep those brain cells active! Great quotes! I have always loved reading quotes. I love how people can take a profound thought and compact it into a few words that tells all! Lovely quotes. The below is the best. I have overcome “self-doubt”, the day my Blog was born. Am glad. Those are all good, especially this one: “Creativity is the greatest form of rebellion”. I don’t, but I am sharing this with my fellow creatives on Facebook and Twitter. I love the Lady Gaga quote – I’ve always thought of myself as a quiet rebel. I’ve lost some of that, and I need to regain it. I appreciate your sharing that wonderful collection of quotes on creativity. They inspire me to let go of self-consciousness, doubt, and the fear that no one will “get” what I’m doing. I love your writing, Dorothy. Like you, it exudes much peace. I ‘get’ it, and I’m sure many others feel the same! Keep writing and sharing. Glad you liked the quotes. Many thanks for your affirmation! Sending you hugs across the miles, Dorothy. I’m glad you’ve found the courage to share your writing, Vinitha!